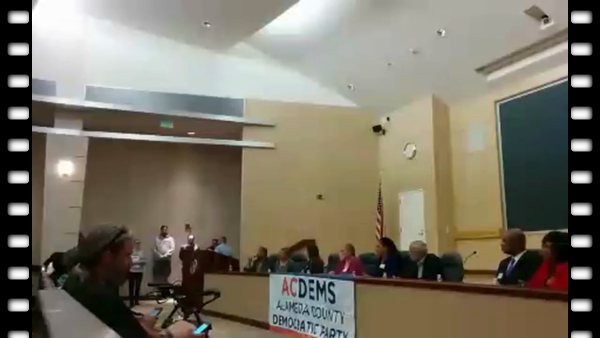 When Schaaf claimed to be as furious and outraged about homelessness as any other candidate, a large portion of the audience laughed, hissed, and booed. Schaaf then snarled, "You can all rip on the Tuff Sheds program all you want!" Candidates in attendance were Libby Schaaf, Nancy Sidebotham, Cat Brooks, Saied Karamooz, Cedric Anthony Troupe, Pamela Price. 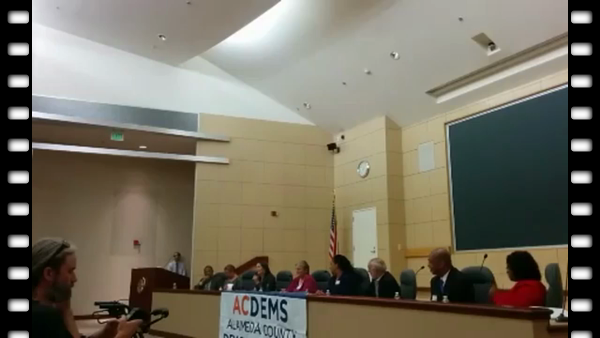 The debate was held at the Elihu Harris State Office Building auditorium in downtown Oakland. Former Oakland Mayor Elihu Harris moderated. Audio inadvertently begins toward the end of Nancy Sidebotham's opening statement, missing Libby Schaaf's. "Better than Hitler" is hardly a ringing endorsement.